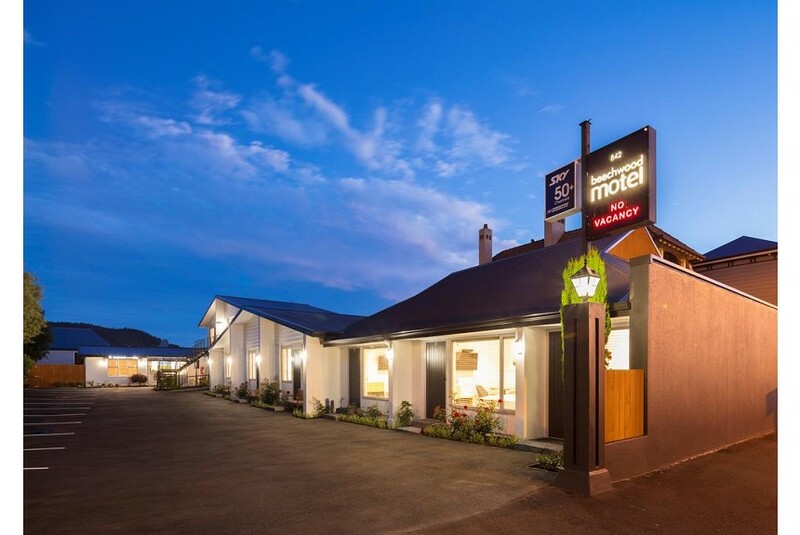 Beechwood Motel offers self-catering motel with free onsite parking, only 5 minutes’ drive from the centre of Dunedin. Each of the refurbished and tastefully decorated suites and studios includes satellite TV. All rooms at feature an LCD TV, DVD player and tea/coffee making facilities. Each has a kitchen or kitchenette, and a work desk with WiFi access. Guest laundry facilities are available. The tour desk can book tickets for local attractions. Guests can charge their meals at several local restaurants back to the room. Dunedin Railway Station is a 5-minute drive from Beechwood Motel. It is a 10-minute walk to the University of Otago. The beaches of Ocean Grove Recreational Reserve are 9 km away.